If it wasn’t for an error on a GPS, it’s possible that Emily Frederick wouldn’t have found herself in Rio for the Paralympics last fall. No, so she didn’t drive all the way down to Brazil on accident or anything like that. Frederick, an Alabama native who was born with dwarfism and stands 4-foot-1, needs special pedals to drive. When she was in high school and eager to get her license, her mother drove alone to a facility in Birmingham, Ala., called Lakeshore. There are two Lakeshores in Birmingham. The one they needed was a rehabilitation center that had those pedal extensions; the other was a training facility for athletes with disabilities. They’re right next door to one another. The GPS brought Frederick’s mom—an assistant high school track coach—to the training facility. She got a tour and realized it was the perfect place for her daughter, who grew up playing sports but had stopped because she struggled to keep up with her teammates. Initially, Emily wasn’t on board with her mother’s idea. Fast forward a few years and Frederick, now a Penn State freshman, was in Rio, competing at the Paralympics in the shot put in the F40 classification (for athletes of short stature.) In the time since her mother accidentally plugged the wrong Lakeshore into the GPS, Frederick’s career as a shot putter has exploded. In her first competitive meet as a high school sophomore, Frederick reached a Paralympic standard. Two months later, the head of the U.S. Paralympic Committee sent her an email inviting her to a camp to train with the team. Her career continued to progress to the point that Frederick was one of two American women to qualify for the Paralympics in shot put. For a while, it didn’t look like this was going to be the case, as Frederick narrowly missed the standard she needed to meet to make it to Rio at the American Paralympic trials. 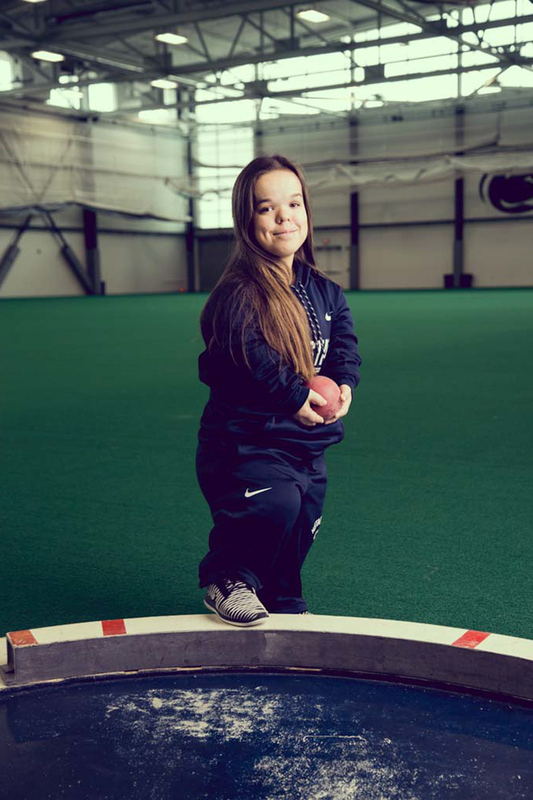 Two months later, Frederick had just arrived on Penn State’s campus when she received a text from a friend letting her know that her Paralympic dreams weren’t dead yet: Russia’s ban from the Games due to a doping scandal opened up several spots. One of her coaches sent her a message telling her to prepare for Rio just in case. That night, Frederick checked her email. The head of the U.S. Paralympic Committee sent her a message telling Frederick to contact her ASAP; Frederick made the call, and three days later, she put her freshman year on hold so she could travel to Rio. Frederick ended up coming in ninth out of 10 competitors—after the trials, she had taken a break from throwing, and she picked up a shot only a few days before the Games started. 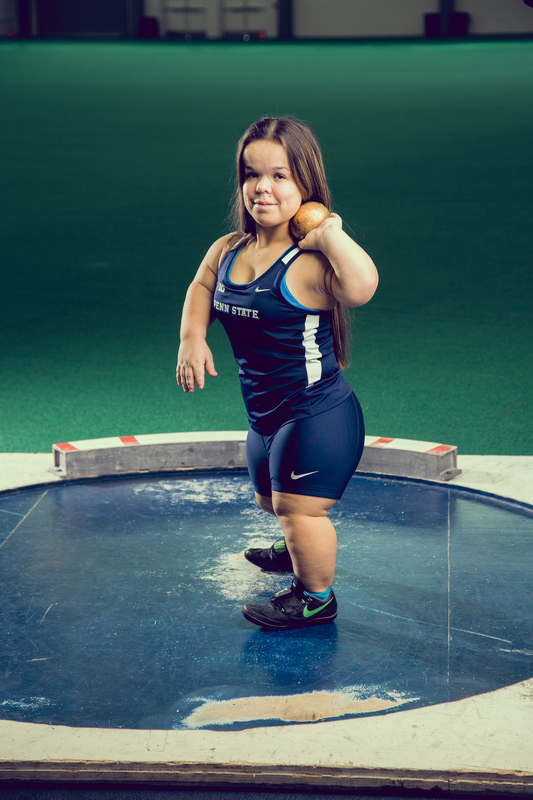 It was also Frederick’s first time competing abroad, and her first time competing against other athletes with dwarfism. It was even the first time that she had tailor-made clothing, courtesy of Polo and Nike. “Most of the time my pants, I just roll them up—I just don’t feel the need to go pay to have them hemmed,” she says. “And so when we got there, they had our names and a hologram in our dressing room mirrors and it was all customized for us. Frederick can appreciate that treatment more than most. In addition to her athletic pursuits, she is a trailblazer for ambulatory athletics in her home state. In order to compete on a more level playing field, Frederick had to go to the Alabama State High School Athletic Association and advocate for non-wheelchair ambulatory athletes. Her efforts were worth it—the head of the ASHAA shook her hand and told her “you don’t realize what you’ve done, you’ve paved the way for everybody else”—even if there were times where she found them to be a little overwhelming. For example, during her junior year, Frederick ran the 100-meter dash at her high school’s state meet. She expected to run it with a group of other competitors. Instead, she was told right before that she would run it in front of a packed crowd by herself. 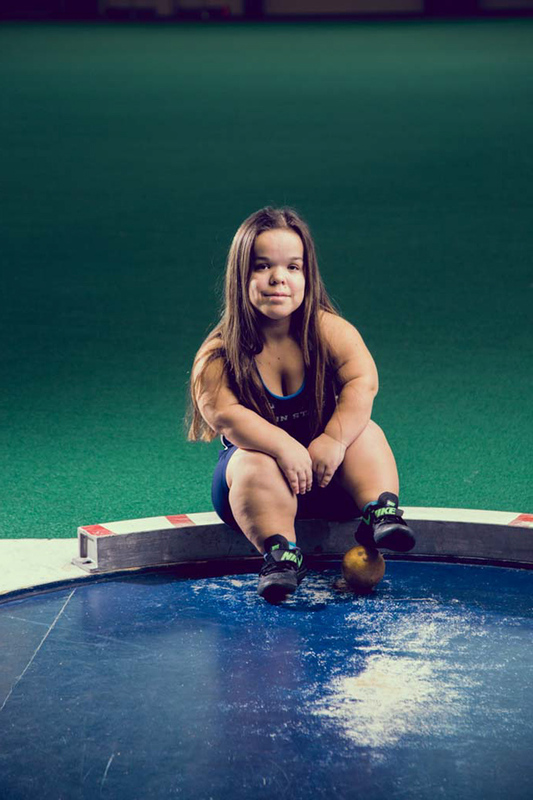 Going forward, Frederick plans on throwing for as long as she can—she hopes to make her second trip to the Paralympics in 2020. She also wants to advocate for adaptive athletics, with her ultimate goal being for each state to have good programs so that kids who deal with disabilities know they can make it to the Paralympics. More sites like Lakeshore would be ideal—when she would go train, Frederick would meet athletes from Tennessee and Mississippi who had to travel because there was nowhere for them to train in their home state. Additionally, Frederick’s advocacy would go beyond competitors. Entry filed under: Athletics, From the Magazine, Students. Tags: 2016 Paralympic Games, Ability Athletics, Emily Frederick, Paralympics.